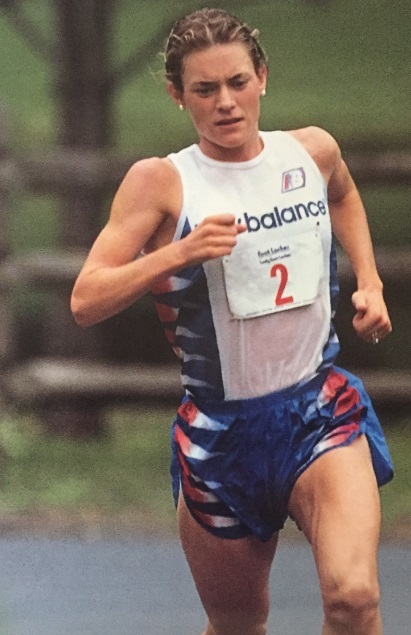 Some guy named McElligott ran like 8:10, 29:14 and ran in the 1992 10,000m at the trials. Also he ran for the US at world XC in 1996. I will try to think of some more one off athletes from Haverford as I peruse their list of 10 national champions. Pretty piss poor for a school with an enrollment of a whopping 1290 students! Harlan Holden, Bates College (Maine) 800 meters in 1912 olympics. Won his prelim heat in 1:58.1, then took up with a Swedish girl and failed to advance. USA swept the 800 taking the top 4 places. That's right, 4. Cathy Schiro went to Oregon straight out of high school. Transferred to UNH after some ordinary seasons as a Duck. Did she actually run any races for the Wildcats? Graduated hs in '85 and made '88 Olympic team in marathon. Her son made Footlocker final 2016. Cathy left Oregon after one semester. She attended UNH off and on between training blocks in NZ and professional commitments for New Balance. She still lives in the Dover, NH area, runs 40+ miles a week, and teaches music. Some of these responses show the lack of interest in the history of our sport. Tom Laris is a 1968 10,000 meter Olympian who graduated from Dartmouth. Peter Rono- Mount St. Mary's. Great schools in our sport! Heard this before. Proof please. Kip and Charles Cheruiyot were Kenyan olympians from that school. One of those two was D2 cross country champ my senior year. Grifter Plumpish - Notareal University. It is bad form to call someone a "Moran" when the word is spelled "Moron".